There are some jobs that are just easier to do with extra help. One of those on our farm is opening and shutting gates. I am opening a gate for Steve. I was trained for the gate keeper job when I met Steve. 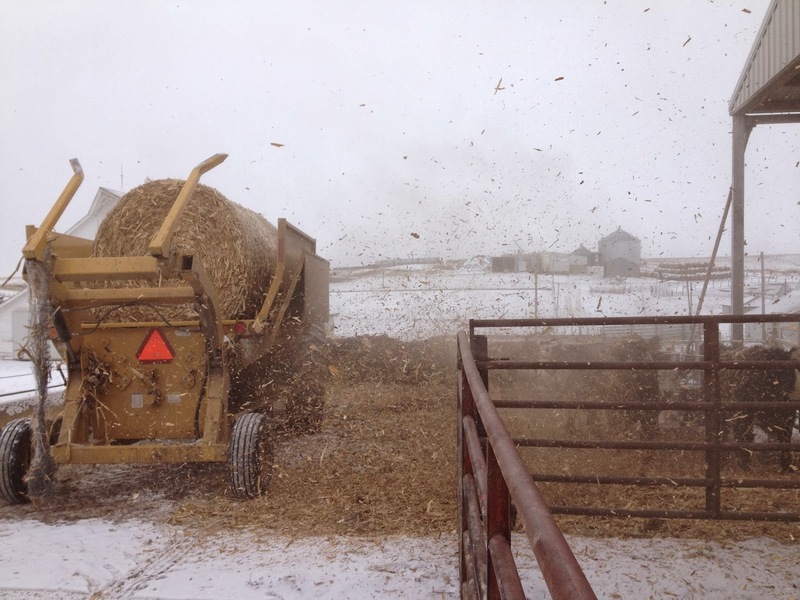 The feedlot Steve had at his dad’s place had wooden feedbunks that were inside the pen. When the cattle were fed Steve had to drive inside the pen. That meant four times on and off the tractor to feed one pen. 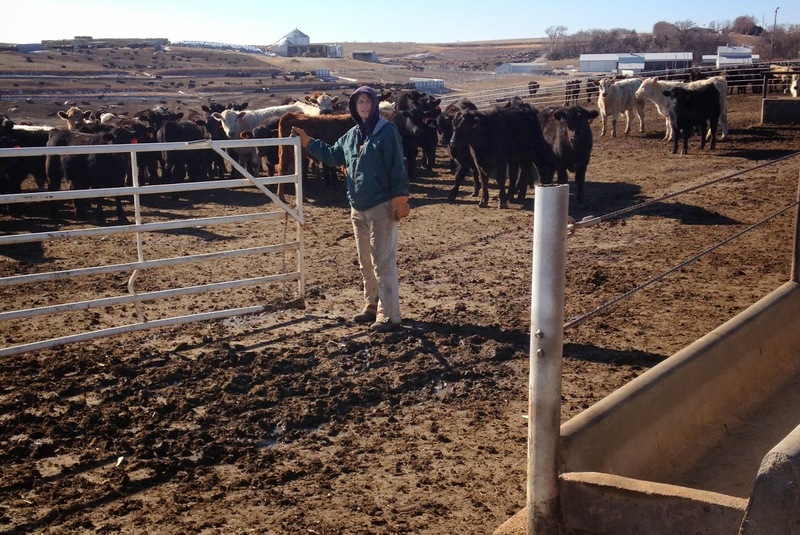 Since I spent the weekends at Steve’s folks I would often help with cattle chores. I was the gate keeper during feeding. I didn’t mind hanging out with my honey and I’m pretty sure he was glad for the help. so the cattle have a dry, comfortable place to lay down. 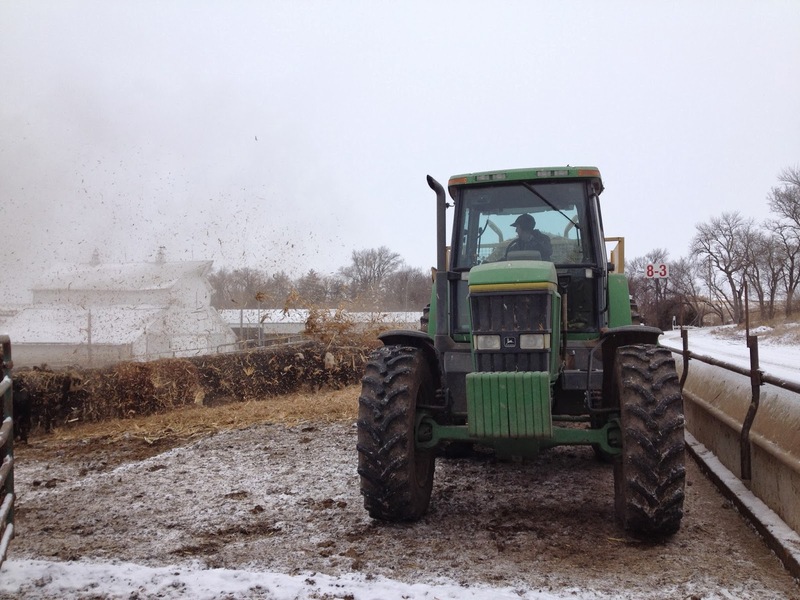 Our feedlot has fence line bunks which is much better for the cattle and the equipment. The cattle always have a dry place to stand where they eat. We do put bedding in the pens and that is when it is nice to have a gate keeper. pitch hay using forks. Now we can bed the cattle so much faster and easier! Steve was bedding cattle and asked if I had time to open gates. I know how cumbersome it can be to climb off the tractor, open the gate, drive in, get back out and close the gate, get back in the tractor and so on. they don’t always choose to lay on the straw! There are probably more romantic things we could do together but I have to say that working side by side with Steve has been one of the most rewarding experiences of my life! The job of a gatekeeper is not easy in the least but it’s a good thing that you’re already preparing for it and helping out!